The ancient Dwarven city of Volenfell was long lost to the sands of the Alik'r Desert. 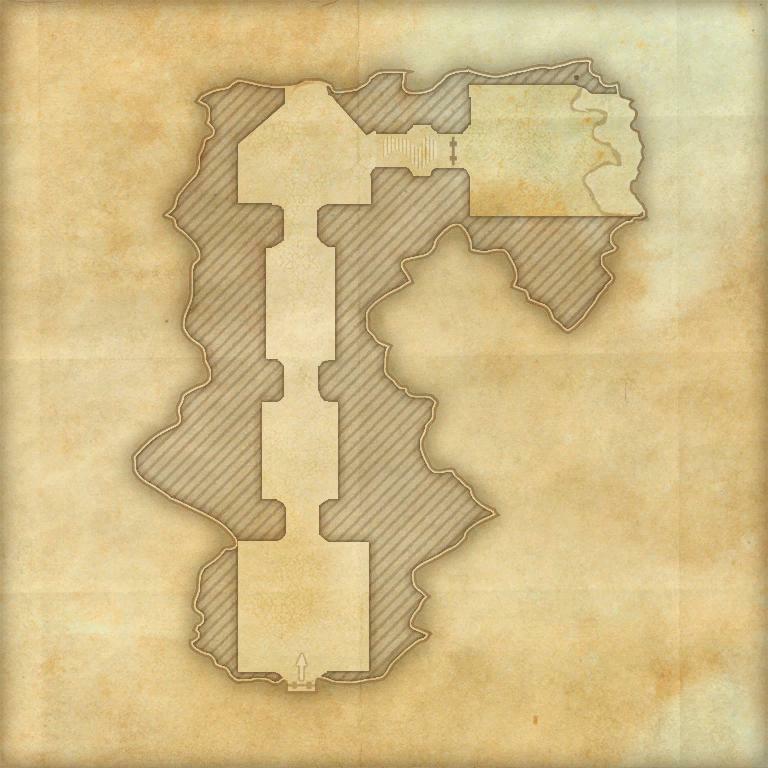 But its ruins have recently been discovered, prompting a race between scholars and treasure-hunters to be the first to search its storied depths. 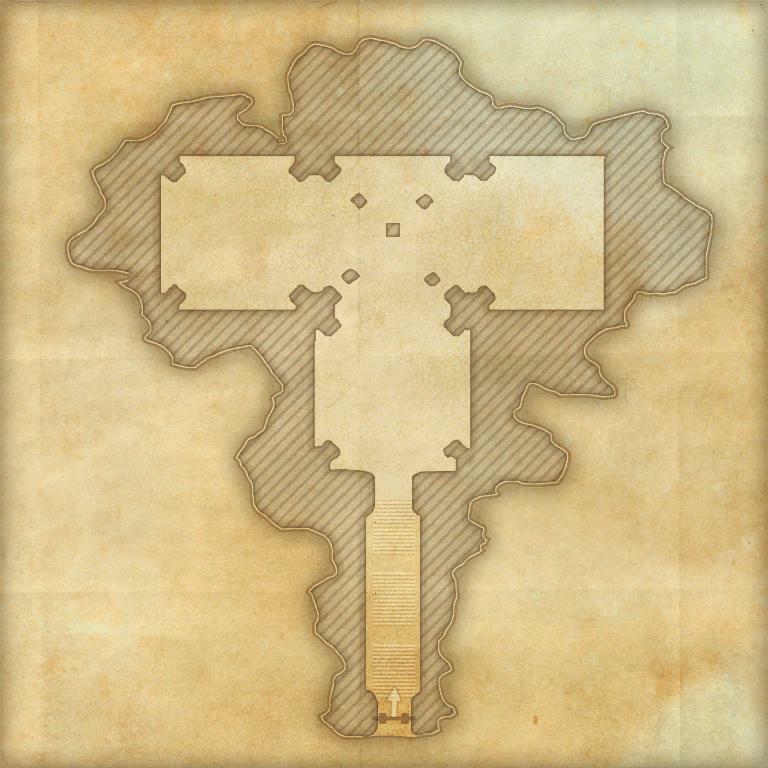 Volenfell is a group dungeon found in Alik'r Desert. The researcher Tharayya wants your help finding a Dwemer artifact called the Guardian's Eye. You can learn about its location from Earrona Kneecapper outside Velyn Harbor, Magnifico Jalid in Sentinel, or Felvyn the Swordarm in Windhelm. Volenfell Objective: Explore the ruins of Volenfell. Blood and Sand: Help a Dwemer researcher recover her notes on a Dwemer artifact. 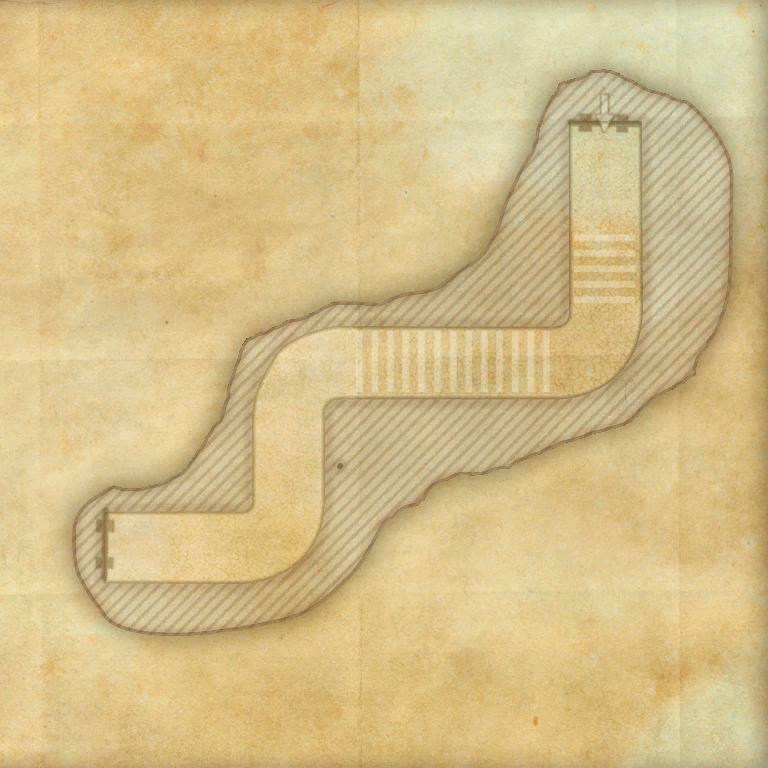 Tharayya's Trail: Trace a Dwemer researcher through the ruins of Alik'r. Pledge: Volenfell: Prove you are truly Undaunted by clearing Volenfell. 5 items: Gain Major Prophecy at all times, increasing your Spell Critical rating by 2191. 5 items: Increases the duration of the dodge chance bonus of Roll Dodge by 0.3 seconds. 5 items: While you are blocking, your Physical and Spell Resistance is increased by 50-4300. 2 items: When you taunt an enemy, you have a 50% chance to cause a duneripper to burst from the ground beneath them after 1 second, dealing 68-5850 Physical damage to all enemies within 4 meters and reducing their Movement Speed by 70% for 3 seconds. This effect can occur once every 4 seconds. Volenfell Vanquisher 10 Defeat Quintus Verres, Tremorscale, and the Guardian Trinity in Volenfell. Volenfell Conqueror 15 Complete Veteran Volenfell by defeating the Desert Lion, Quintus Verres and the Monstrous Gargoyle, Boilbite, Tremorscale, the Unstable Construct, and the Guardian Trinity. They Were Just Rusty 50 Defeat the Guardian Trinity in Veteran Volenfell, after invoking the Scroll of Glorious Battle. Veteran Dwarven Construct Slayer 10 Defeat 300 Dwarven Constructs in Veteran Volenfell. Veteran Treasure Hunter Slayer 10 Defeat 250 Treasure Hunters in Veteran Volenfell. Volenfell Survivor 50 Defeat the Desert Lion, Quintus Verres and the Monstrous Gargoyle, Boilbite, Tremorscale, the Unstable Construct, and the Guardian Trinity in Veteran Volenfell, without suffering a group member death. Volenfell Assassin 50 Defeat the Desert Lion, Quintus Verres and the Monstrous Gargoyle, Boilbite, Tremorscale, the Unstable Construct, and the Guardian Trinity in Veteran Volenfell within twenty minutes of starting the dungeon. 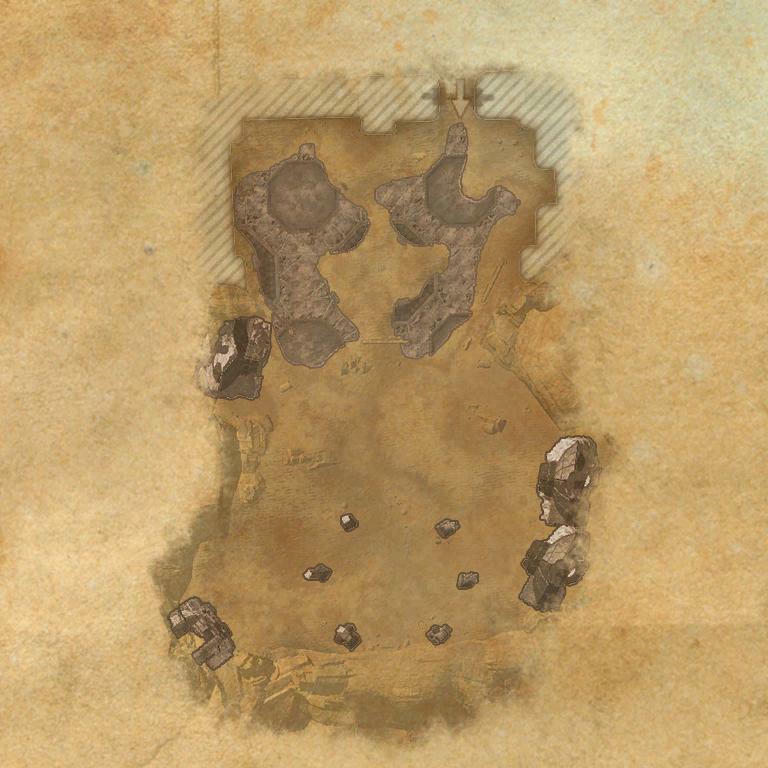 Timer starts when players engage the first group of treasure hunters. 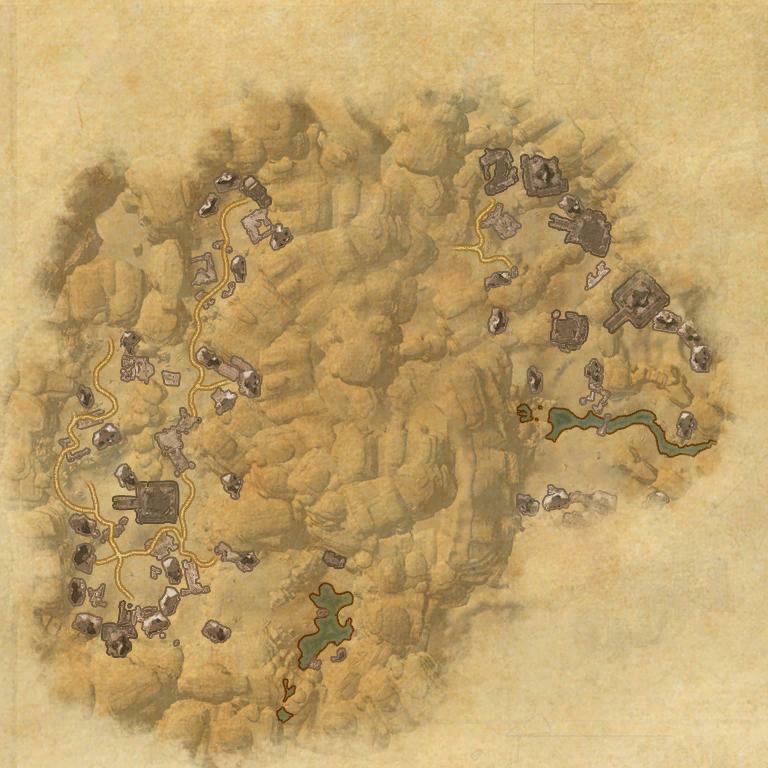 Before dungeon scaling was introduced in Update 5, Volenfell was designed for levels 34–37. This page was last modified on 2 February 2019, at 02:37.